WOW: WILL TOILET FILM BECOME AKSHAY KUMAR'S SECOND 100 CR. CLUB OF THE YEAR? Akshay Kumar one of the most sought after actors in B-Town is giving back to back hits. Akshay Kumar's Jolly LLB 2 which released in February went on to enter 100 crore club and turned out to be a profitable venture for the makers. Akshay's second release of the year was Toilet: Ek Prem Katha, the socio-drama film which released on August 11th gained mixed-reviews but looks like the movie's review is not affecting the movie's box-office collection. As on August 16th, the movie has collected Rs. 84 crores approximately at the box office. 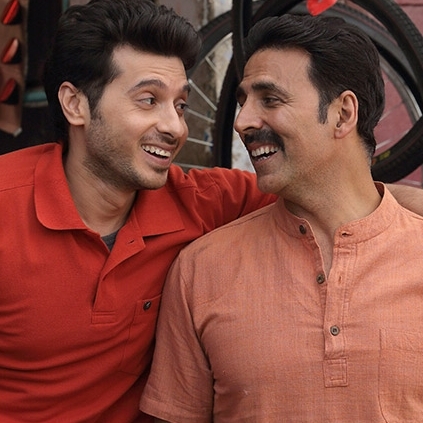 According to trade analysts, the movie has already become a profitable venture for the makers, and if the movie continues the same occupancy throughout its second week, then the movie would soon enter the elite 100 crores club.